The results of a small phase II trial suggest that the PARP inhibitor, talazoparib, used in BRCA patients may be highly effective as a single agent in the neoadjuvant setting. The study was carried out at the MD Anderson Cancer Center and presented at the 2018 ASCO meeting in Chicago by its lead author, Jennifer Litton. [Article: (TALA) for operable breast cancer patients with a BRCA] Twenty patients entered the trial. Sixteen had a mutation in BRCA1 and 4 in BRCA2. The median age was 38. Seventeen of the cancers were triple negative. One patient elected to also have neoadjuvant chemotherapy so residual breast cancer (RCB) could not be obtained. The patients received 6 months of once daily talazoprib. Patients then underwent surgery followed by the appropriate chemotherapy regimen. At the time of surgery 53% (10 of 19) were found to have a complete pathological response (RBC0). Sixty-three percent (12 of 19) had minimal residual disease (RCB1). Ten of the 12 patients with RCB0 or RCBp1) had triple negative disease. It is interesting to note that of those with RCB0, one had inflammatory breast cancer, one had metaplastic carcinoma and one had HR+ invasive lobular carcinoma. 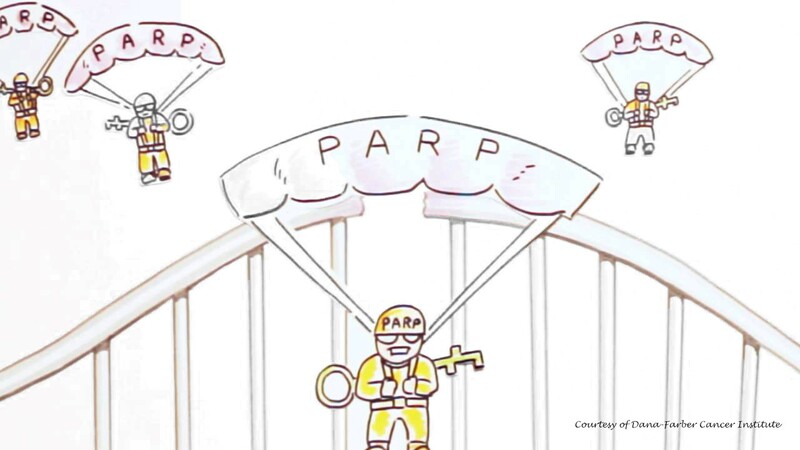 Talazoparib enhances PARP inhibition by not only inhibiting the PARP enzyme but traps the enzyme on DNA to supplement its effect on preventing DNA repair. However, talazoparib is not without toxicities. There was 1 grade 4 (thrombocytopenia) and 12 grade 3 toxicities (anemia, neutropenia, UTI). All other toxicities were grade 1 and 2. Toxicities were managed by dose reduction and transfusions. Nine patients required dose reduction. It is difficult to overstate the importance of this study. Though early and as yet unvalidated, the thought of taking one pill per day and having similar or better results will be very appealing to BRCA patients.